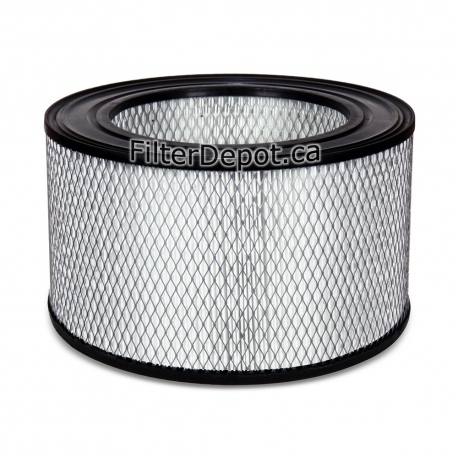 Amaircare 2500 molded HEPA filter is Amaircare's original replacement True HEPA filter. 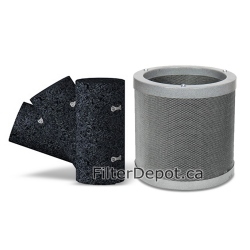 Amaircare 2500 molded HEPA filter fits Amaircare 2500 portable air purifiers with Variable rotary Speed control manufactured before March of 2016. Amaircare 2500 HEPA filter contains 50 sq. ft. of 99.97% efficiency certified True HEPA filter media. Amaircare 2500 True HEPA filter's lifetime: 2 to 5 years. 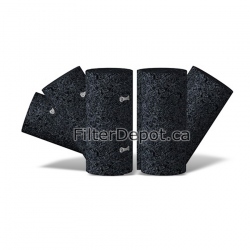 Amaircare 2500 molded HEPA filter fits Amaircare 2500 air purifiers manufactured Before March of 2016.